I took my first underwater photograph three years ago, and each time I slip into the beautiful blue hues, I learn something new. My passion of the underwater world has taken me to the most exquisite landscapes and I have experienced extraordinary things. I strive to use my imagery to promote conservation through education. 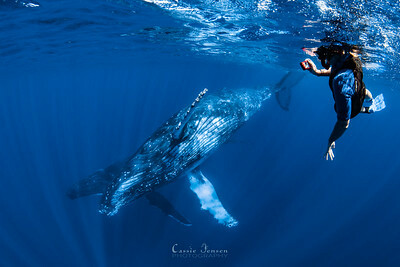 The health of the ocean and its inhabitants is essential to this planet. Please enjoy taking a dip into the stunning world below the waves with me.